Members of the South African Chamber of Commerce can now benefit from discounts and other benefits offered by participating companies in our Loyalty Programme. If you would like to see your company listed here please contact us. Addison Lee are offering SA Chamber Members a business account which offers discounts on their standard account rates. If you would like to set up an account, please call their sales team on 0203 8000 365 and they will assist you with the completion of an application. The Genius Group offers Board Evaluations, Board development, Director mentoring, NED development, corporate governance reviews, governance training and Governance Code reviews. They are recognised for delivering evaluations and reviews that make a real and significant change in the effectiveness of the Board. The process empowering every Board Director to be their best. Genius training delivers practical insights that can be easily and immediately implemented. Genius makes a tangible difference to Board leadership. Genius will give SA Chamber members a discount of 15% on any service or training engagement. To claim this loyalty bonus click here to email Genuis. Please include your business name and contact number, and also include an explanation of your business’s governance requirements. Inspired have introduced a SME focused website review covering the key aspects of what a website should “have” today. Those SMEs who wish to, can after the review of security vulnerabilities, take advantage of a specific Security Test which is also discounted by £100 to £495. To claim this loyalty bonus click here to email. Switch Branding provides a wide range of graphic design and creative services. 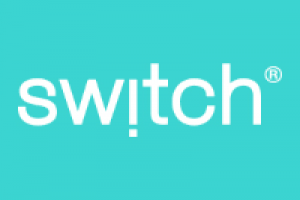 The Switch Group was originally born in South Africa in 1999, and today has offices in London, Johannesburg & Cape Town. Switch Branding is offering a 20% discount on graphic design to SA Chamber Members. To claim this loyalty bonus click here to email Switch. Please include your business name and contact number, and also include an explanation of your business’s graphic design requirements. 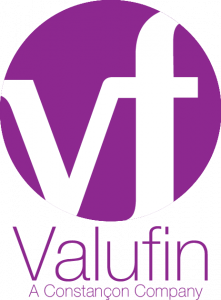 Valufin offers corporate forex exchange advisory services and helps companies identify risk early, manage impact of currency movements, carry out the transactions, report and account for currency activities accurately, thus allowing management to get on with the day job while forex is being effectively managed. Valufin will give SA Chamber members a discount of 15% on forex advisory services. To claim this loyalty bonus click here to email Valufin. Please include your business name and contact number, and also include an explanation of your business’s involvement in forex.